You Are Off by 10 Meters! Communicating Tracking Uncertainties in Mobile Augmented Reality. 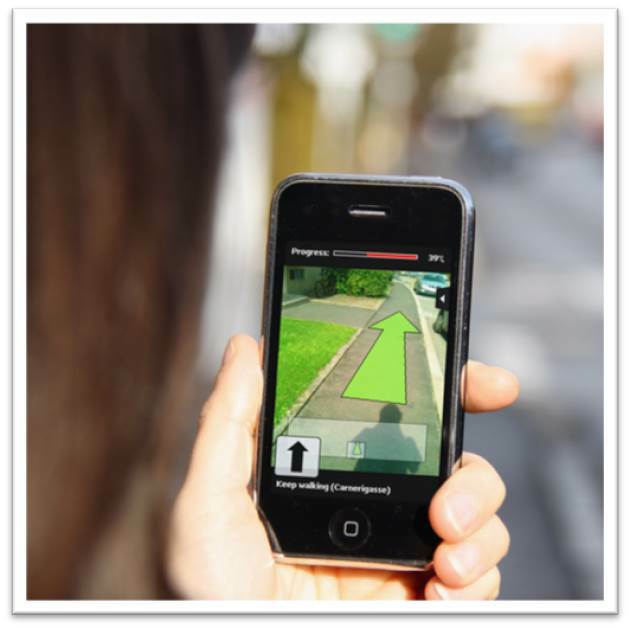 Augmented Reality relies on the accurate overlay of digital information over physical objects. What happens if the underlying tracking systems fail or deliver inaccurate data? How can users then still be supported in their goals like navigation or selection? In this work you will classify tracking errors and approaches to visualize the severity and impact of those errors on user tasks. The goal is to effectively inform users about tracking uncertainty in order to allow them to adopt their interaction with the Augmented Reality System. This project can be adapted for master projects,master theses and bachelor theses.